NREM sleep, which is Non Rapid Eye Movement sleep. REM sleep, which is Rapid Eye Movement sleep. Sleep occurs usually in five different continuous stages involving four non-REM sleep and one REM sleep periods. The four non-REM sleep stages accounts for between 75% and 80% of your total sleep, while the one REM sleep stage accounts for between 20% and 25% of your total sleep. All these stages of sleep repeat during the night, and can be explained as a cycle of 5 stages that continue at 1 when number 5 is complete. It is not uncommon to wake at the end of stage 5 (REM sleep) or even during stage 5 and this may happen several times at night for some people. It may be that you need to change sleeping position, or something just woke you up. 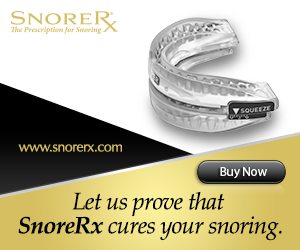 Consists of drowsiness and is the first in the sequence of sleep. It is the stage where you are between awake and falling asleep. It is also a stage where you are sleeping very lightly, and can feel as if you did not sleep if you wake up for some reason. Stage 1 may last for five to 10 minutes. This is the stage where you still sleep lightly but your body is preparing to fall into a deep sleep. Your body temperature drops and your heart rate slows. You will also feel disorientated and confused when you wake up during this stage. This stage can form almost half of your total sleep period, because it repeats during the sleep cycle. This is the stages which involve the deepest type of sleep; with stage 4 being deeper sleep than stage 3. Stage 3 and 4 are also characteristically known as the Deep Sleep stage, and even slow wave sleep (SWS). Your muscles relax during these stages, your tissues repair and grow, and your all round energy is restored. Breathing also becomes much slower, and your blood pressure drops. Stage 3 just as in the case as with stage 2 repeats in the cycle before the onset of REM sleep, so the cycle is normally 1-2-3-4-3-2-REM. This cycle repeats several times during sleep. Stages 1 to 4 will last about 90 minutes in total, with each stage normally not lasting more than 15 minutes. This stage is when your brain is the most active, and therefore you dream the most. At the same time however your muscles become so relax that you are almost considered paralyzed. It is believed in some circles that the muscle paralysis is helpful to prevent the person of acting out their dreams. This stage is very important to re-energize the brain and body, and it is believed that a lack of REM sleep will affect daytime performance. This stage of sleep is also best known as the time you’re eyes move during sleep, better known as rapid eye movement. REM time periods normally increase every time it repeats, with the first one in the region of 10 to 15 minutes and the last one close to a hour. We all need proper sleep to function during the day. If our minds and bodies don’t recharge and recuperate, we can’t think or react properly. Have you ever felt irritable the next morning after you did not sleep well the night before? A lack of sleep affects your mood. Poor sleep is also linked to depression. Do you need help with improving your sleep life, read 10 Ways to Sleep Better, to get tips on getting some shut eye. Understanding the different stages of sleep will help to understand the importance of sleep; don’t you think? So do yourself a favor and get the sleep you need and deserve. Please leave any comments you might have below this article.